The gates open at sunset, and the attractions are all one of a kind. Faerie illusions caper under the big top while a demon hunts monsters on the midway. A psychic delivers actual messages from the dead and a real ghost lurks and laughs inside the haunted house. A werewolf plays Halloween tricks, a succubus learns the delights of a human Halloween, and a vampire hypnotizes his future prey. 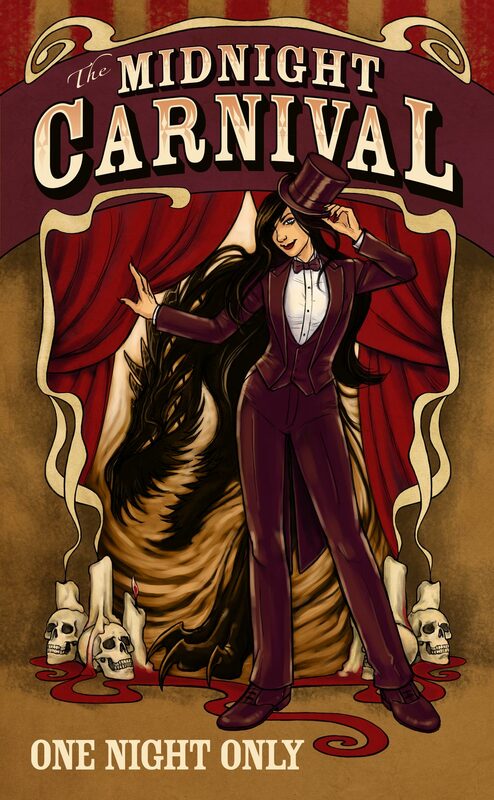 Monsters, magic and mischief abound in these thirteen short stories about the Midnight Carnival. AAAAAAAAAAAAAAAAAAAAAAH!!! I have a few Carnival-based stories, too. 😀 I got my inspiration from BPAL’s Carnival Diabolique. Can’t wait to get this!!! !